With every new BMW model, tuner Hartge come up with an exclusive kit. Here’s their take on the new 6er. It is still a work in progress and the most important part, engine upgrade, is yet to be revealed. But it’s good for those who like some subtle visual upgrades. The car gets Hartge multi spoke wheels available in 19 or 20 inch and can be ordered with sport suspension for some pro lowering. 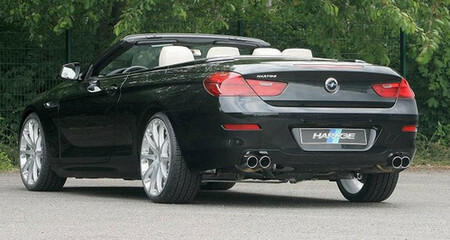 You can also order the sport exhausts with four tailpipes at the back. As always there’s some nice interior upgrades, namely sport steering heel, aluminum pedals and special floor mats.